Olivi Hotel of Sirmione is the 4-star hotel with spa rising near Sirmione’s thermal spas. Here elegance and excellence marry with wellness to give birth to an oasis where you can relax your body, mind and spirit and enjoy the beauty of this place. Here, the pleasure can be found in every service: at the restaurant with refined and sophisticated menus, in the rooms with well-kept and elegant environments and within the hotel’s communal areas like the fabulous pool or the spacious thermal spa. The hotel offers several types of rooms designed to welcome and pamper guests with lots of emotions and sensations. 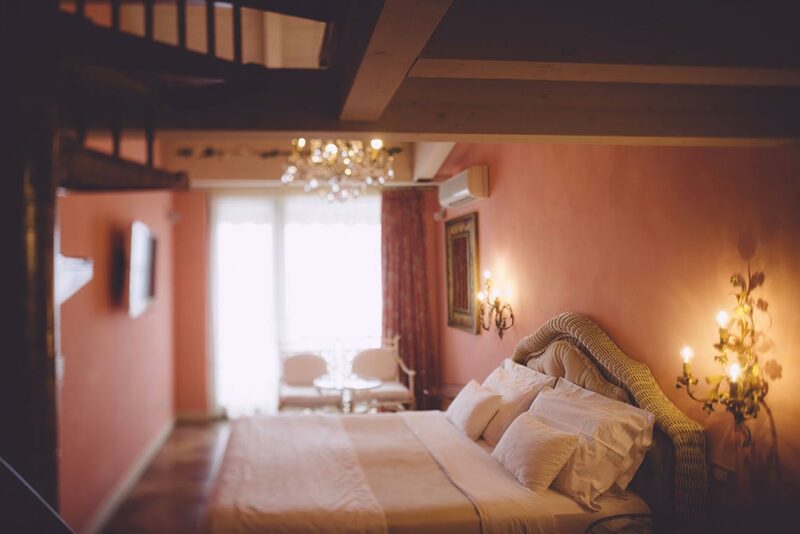 Premier Deluxe, designed for those wishing a romantic stay, like in a fairy tale, en-suite with terrace with lemon trees and a view of the garden and the lake, a spacious bathroom and a refined country-style bedroom. Superior bedrooms enjoy a lake-view balcony as well as modern environments with feeble hues and floral fabrics. King rooms enjoy an innovative style, with design furniture and modern colors. The delicious Family Rooms is ideal for those travelling with two kids, the harmonious and well-lit room features a double and two single beds, the furnishing style is modern and refined. Triple rooms accommodate up to 3 persons and enjoy modern furniture and decorations. Finally, Classic rooms, delicious rooms furnished with lively colors with a half modern and half country style. Each of them comes with a little balcony with a view of the garden and all the desirable comforts. Olivi Hotel is plunged into the greenery and the mild climate of Lake Garda, it establishes itself as the ideal place to take care of one’s body and spirit. 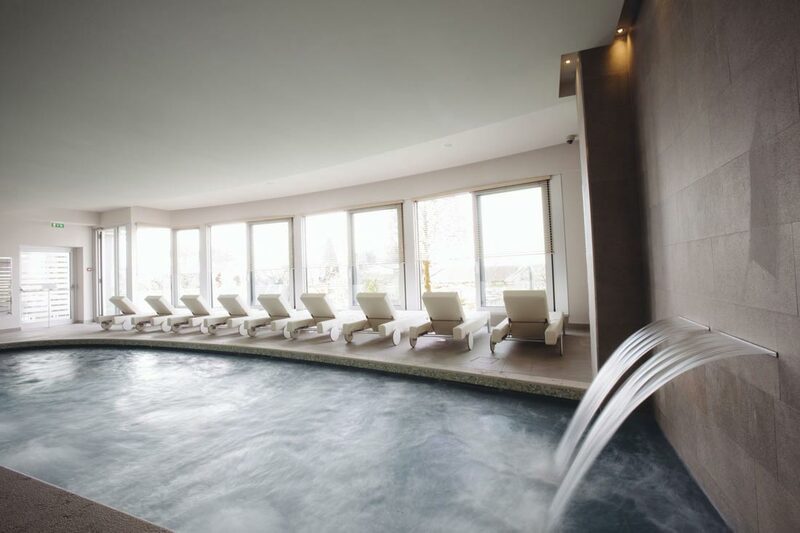 The hotel’s Spa lets visitors immerse into Sirmione’s healthy thermal waters. Exclusive purification treatments with aromatic mists are provided as well as massages with precious essential oils and a lot more. The Spa is composed of a relaxation area with tea corner and cozy loungers, a Finnish Sauna with 2 cabins holding different temperatures. The breakfast, rich in flavors of all kinds, is served in the large, well-lit Sala degli Ulivi (Olive-tree Hall), fitted with a nice terrace with a view of the garden. At Ristorante degli Ulivi it is possible to sample the traditional and Mediterranean-style cuisine along with high-quality wines: an unforgettable sensory experience. In summer, guests can lunch and dine al fresco on the wonderful and romantic terrace of “La Limonaia” Restaurant. Accuracy equally characterizes dishes and the elegant and harmounious interiors. La Bissa Restaurant is located right by the pool and stays open during summer. The environment is fuirnished with turquoise and white hues proposes recipes made of simple flavors with Italian-style dishes, vegetable buffets and tasteful desserts.